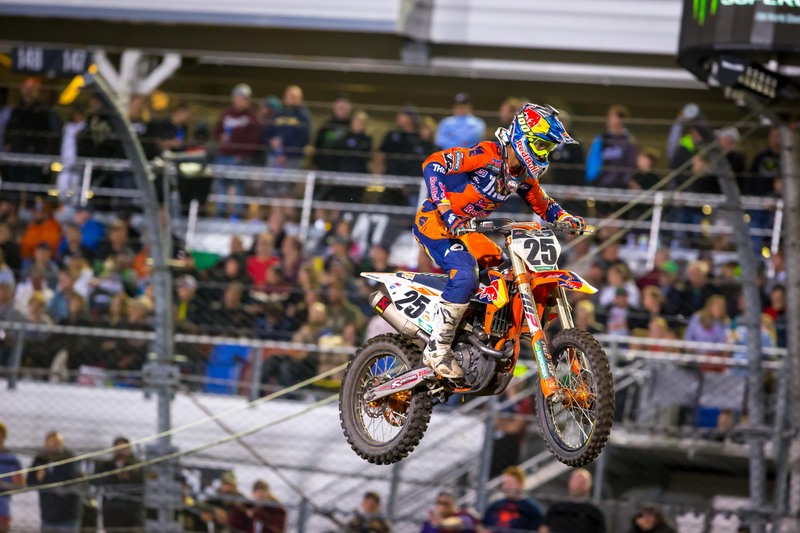 It was a big night in Daytona for the Troy Lee Designs/Red Bull KTM Factory Racing Team as Jordon Smith executed a flawless performance to capture the 250SX East Main Event victory at Round 10 of the AMA Supercross Championship at Daytona International Speedway. Smith kicked off the evening’s racing program with a commanding win in 250SX Heat 2 as he led from start to finish, seeding himself at the top heading into the evening’s Main Event. Smith carried the momentum through to the 250SX East Main Event as he grabbed the holeshot and early lead. 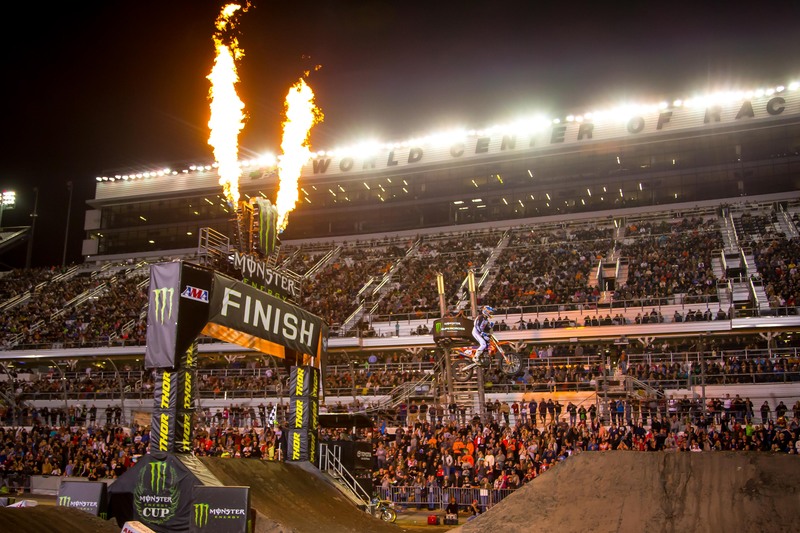 From there, Smith never looked back as he led all 14 laps of the Main Event on the way to his third career-victory in the 250SX class – his first of the 2018 season. Additionally, Troy Lee Designs/Red Bull KTM Factory Racing’s Sean Cantrell earned his best finish of the season with a 7th place in Daytona. In the 450SX class, Red Bull KTM Factory Racing’s Marvin Musquin qualified 2nd overall on a tough Daytona race track. Musquin got the holeshot in 450SX Heat 1 but a run-in with the tuff block in the first turn quickly set him back to the 2nd place position. While attempting to make the pass on Justin Brayton for the lead, Musquin went down and ultimately finished 2nd. In the 450SX Main Event, Musquin got off to a great start aboard his KTM 450 SX- FACTORY EDITION as he began in the 3rd place position. By lap four, Musquin had made his way into the lead where he began to pull away from the pack. However, a big mistake on lap five cost him the lead when he went down in the mechanic’s area. Musquin quickly remounted only to go down once again, this time taking more time to get back going. The Frenchman fought hard to make his way back up to 5th, where he ultimately finished for the night. Red Bull KTM Factory Racing’s Broc Tickle didn’t get the best of starts in Daytona but he worked hard to climb his way through the pack. In 450SX Heat 1, Tickle began just outside the top ten and worked his way into 7th with two laps to go in the race. From there, Tickle maintained his position to earn a solid transfer spot into the Main Event. In the 450SX Main Event, Tickle put his KTM 450 SX-F FACTORY EDITION into 15th on the opening lap. From there, Tickle immediately started picking off riders to put himself inside the top-ten just after the halfway point. Tickle continued to power through the final laps of the race to ultimately finish 10th for the night.